With it being a new year, we thought we would do something fun and new! Each month we are going to share some delicious cocktail and mocktail recipes that moms can enjoy. (Is it happy hour yet?) We know how hard motherhood can be. We get it. That’s why we believe every mother should get together with her girlfriends, kick up their heels up, and enjoy a nice libation to start off the weekend right! For this series, we have partnered with the fabulous restaurant and bar, Weights + Measures. They have helped us come up with some tasty concoctions. Thank you, Weights + Measures! We’re cheers-ing you and all the mamas that it’s Friday!! Step 1: Get your champagne flute and dunk the rim of your glass into some sugar. Step 2: Pour an ounce of pear puree into your glass and then a half ounce of grenadine. 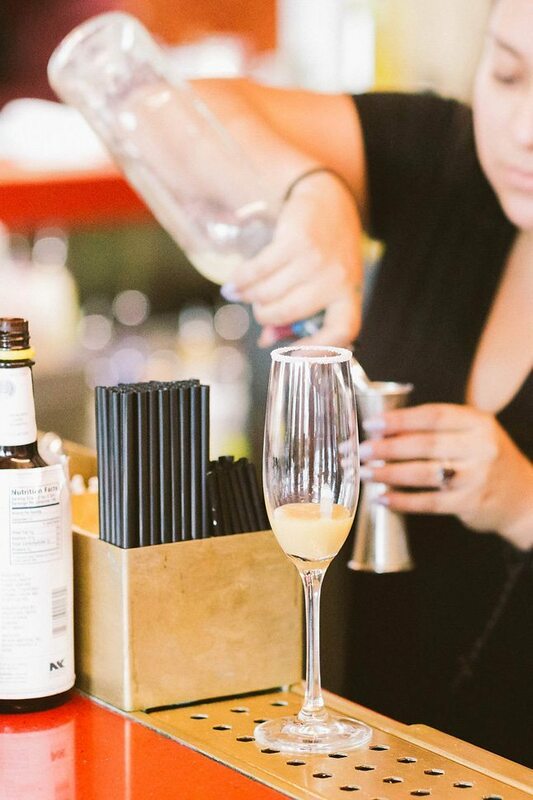 Step 3: Grab a bottle of your favorite Prosecco and fill your glass to the top! Step 4: Stir your cocktail to mix and VOILA! There you have the ProsPEARity! If you have some expecting friends that are going to join you, here’s the MOCKTAIL version. All you need to do is substitute the Prosecco with some Sparkling Water or Sparkling Apple Cider. The presentation will match perfectly to the cocktail version which she will appreciate. Cheers, mamas, to the new year! And happy Friday! I hope it’s a great one. 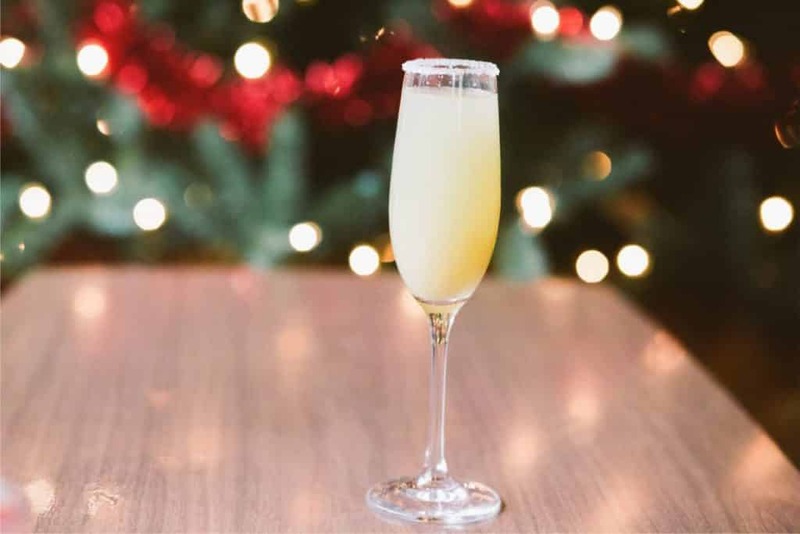 Get your champagne flute and dunk the rim of your glass into some sugar. Pour an ounce of pear puree into your glass and then a half ounce of grenadine. 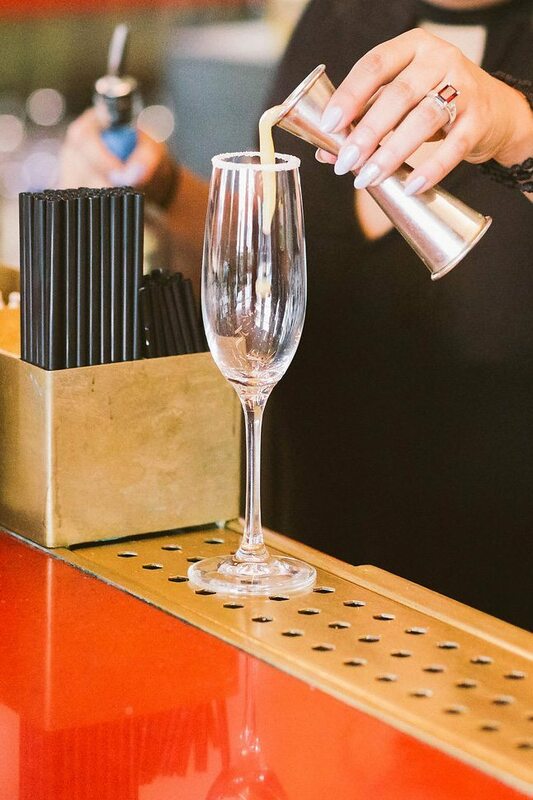 Grab a bottle of your favorite Prosecco and fill your glass to the top! Stir your cocktail to mix and VOILA! There you have the ProsPEARity!